The Christchurch Women’s Rugby Club is ready to tackle a tough pool at their first ever Vailima Marist International Sevens Tournament this week. They’ve been drawn with defending champions Auckland Samoa, Samoan national champions Apia Maroons, and dark horse Te Tai Tokerau, who have some Black Ferns in their ranks. Manusina captain and Kiwi Fern rugby league international Sui Pauaraisa put the Christchurch team together and brought them to Samoa for Marist. She said it’s a tough pool, but they need to treat the tournament as though every team is the same. “This is what I said to my girls, we’ll just do us, it doesn’t matter we’ll just stick with our gameplan. She said the girls can get caught up with seeing Black Ferns in the opposition. She has first hand experience with both Auckland Samoa and Apia Maroons, having played for them last year at the Marist Sevens and the S.I.I Sevens tournaments in Samoa respectively. 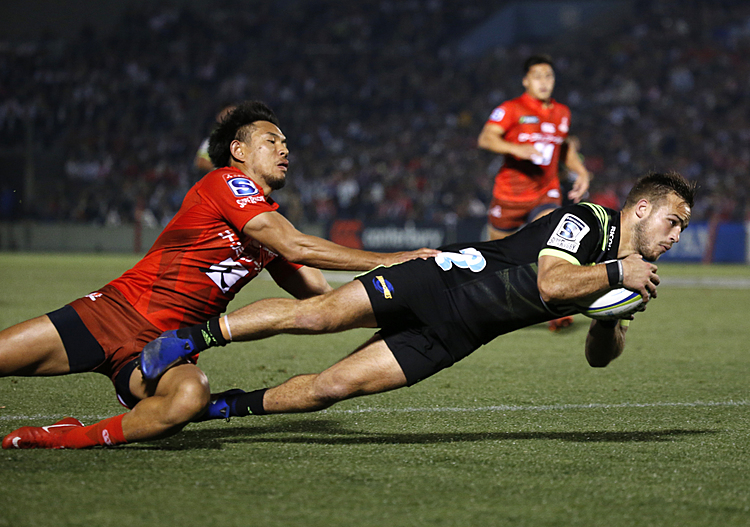 “There’s a massive growth in the game since last year after Marist. After her experiences last year, Pauraisa wanted to put together her own side to bring back. The Christchurch Women’s Rugby Team has players from all different clubs in the city. She said it was expensive and a big sacrifice for some of them, including three of the team who are mothers. “Some of us are on leave without pay, including me. Pauaraisa has taken on the roles of coaching and managing the team, as well as playing. However she’s given up captaincy, saying she wants to build everyone else up. Captain Cassie Siataga (23) agreed. She said she’ll take on most of the on-field responsibility, something she is used to. Siataga didn’t come from a rugby background, having used to represent New Zealand in softball. “But it’s something i’ve always had, and haven’t shied away from. Siataga is afakasi, and has lived in Christchurch most of her life. Her family is from Tanugamanono, had her first trip to Samoa was with Pauaraisa to play for Apia at the S.I.I Sevens. “I’ve always known who I am and where i’m from, but actually getting to see and experience everything firsthand is pretty cool,” she said. She said it was cool to share part of her background with her teammates. Siataga said she was especially looking forward to the coaching clinics the team will be running here. “I love just helping, that’s why I coach a lot when I’m at home. Pauaraisa is particularly excited to give back to the women’s game. She said in Samoa, girls are expected to focus on schooling and helping their family, while boys are the ones who can play sport. She said they’d be worldbeaters if they got the same resources that men did. 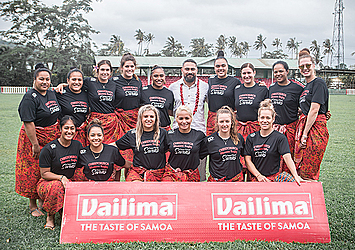 Pauaraisa said it was exciting to see women being put on the big stage for sports through the Marist Sevens.